Consultations by appointment only. Saturday and Sunday appointments are now available for our clients at our hospitals in Slough or Maidenhead. 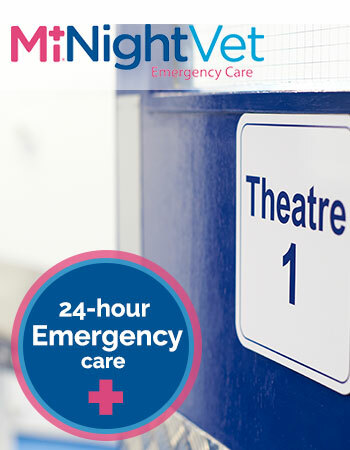 MiNightVet Maidenhead is our preferred emergency services partner; staffed by a combination of dedicated emergency vets and staff from our Active Vetcare practices. More details can be found here. We aim to provide the very best care for your family animals. From the preventative healthcare for new puppies to the complex medical treatment of disease, we provide a caring, sympathetic and professional approach to each individual case. We really love getting to know you and your pet, it helps us offer the most appropriate, tailored treatments for them. We are constantly striving to improve our expertise by developing our skills, facilities and therapeutic methods. Public disabled access – small threshold into property 4cm. You can find more details on the full team here at Beaconsfield, Holtspur Veterinary Clinic and the rest of Active Vetcare here.